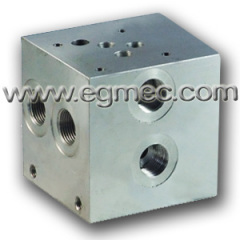 The top and bottom surfaces of the Hydraulic Bar Manifolds are mounted with the hydraulic valves, the surface of the manifolds distributed with the common pressure port A and B, the common inlet and return ports P and T drain port, and four bolt holes . The use of hydraulic bar manifolds can not only simplify the design and installation of the hydraulic system, and facilitate the realization of the hydraulic system integration and standardization. 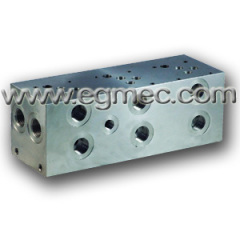 Group of Hydraulic Bar Manifolds has been presented above, want more	Hydraulic Bar Manifolds and Hydraulic Valve Bar Manifolds, Please Contact Us.